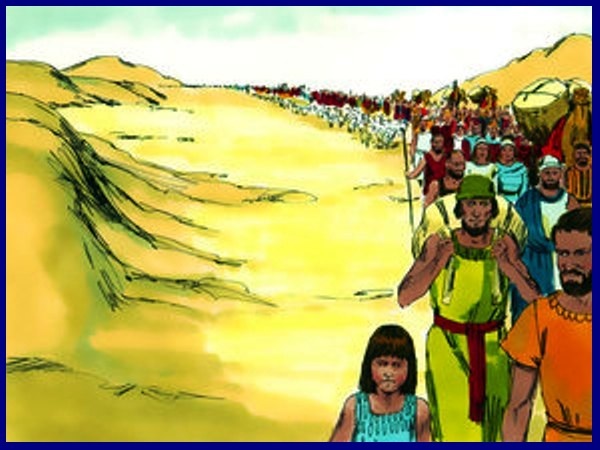 Did you know that when the Israelites left Egypt, there were about 600,000 men walking? This did not include the women and children. So there were many people that left Egypt. 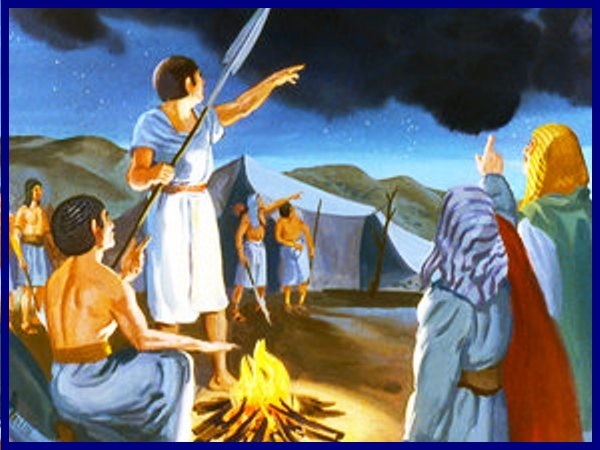 There were also many other people who were not Israelites that went with them. 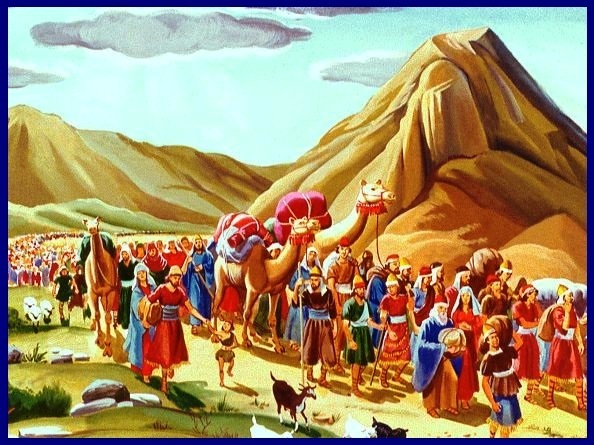 Do you remember when Joseph brought his family to Egypt there were 70 that came to live with him, and now 430 years later to the very day, there were probably close to 3 million people that left Egypt. 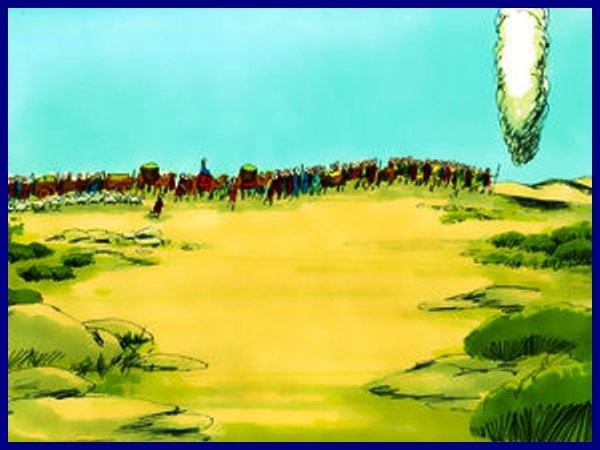 They took a large number of sheep, goats and cattle with them. 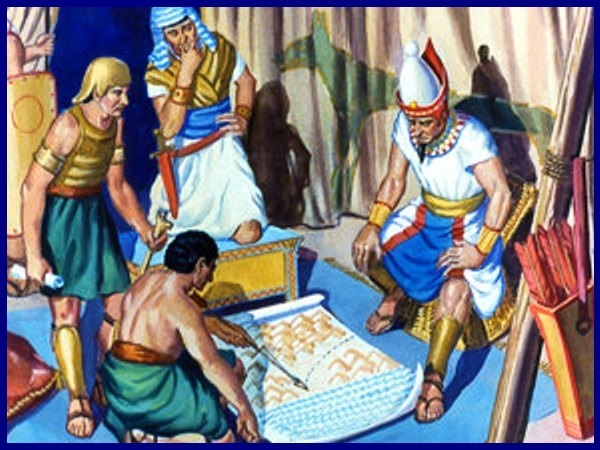 They also used the dough they had brought out of Egypt and baked loaves of bread without yeast. The dough had no yeast in it because they had no time to get food ready for their trip. 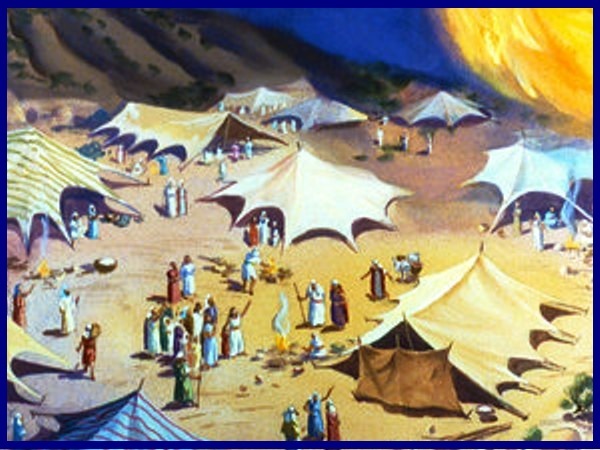 So the people of Israel left Succoth and on the first night camped at Etham that was located on the edge of the desert. And the Lord showed them the way. During the day he went ahead of them in a pillar of cloud. And during the night the Lord was in a pillar of fire to give them light. This way they could travel during the day or night. The pillar of cloud was always with them during the day. And the pillar of fire was always with them at night. 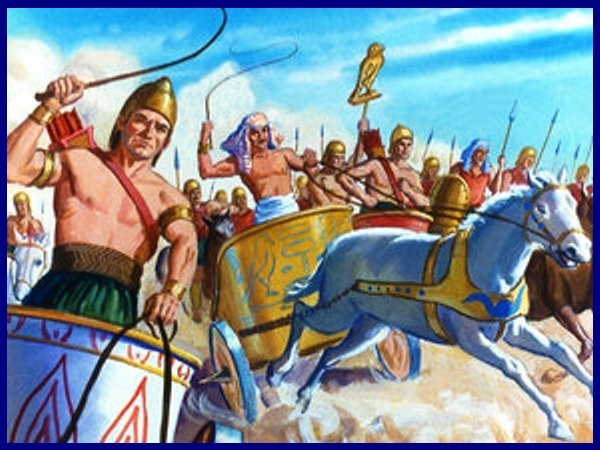 So Pharaoh prepared his war chariot and took his army with him. He took 600 of his best chariots. 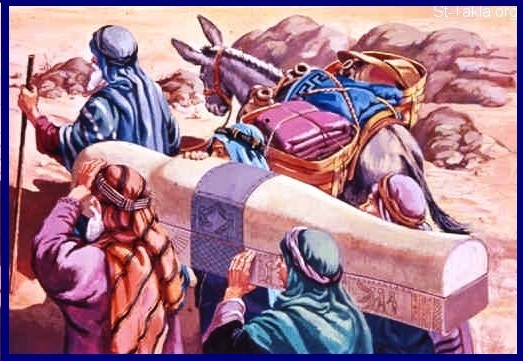 He also took all the other chariots of Egypt. Each chariot had an officer in it. 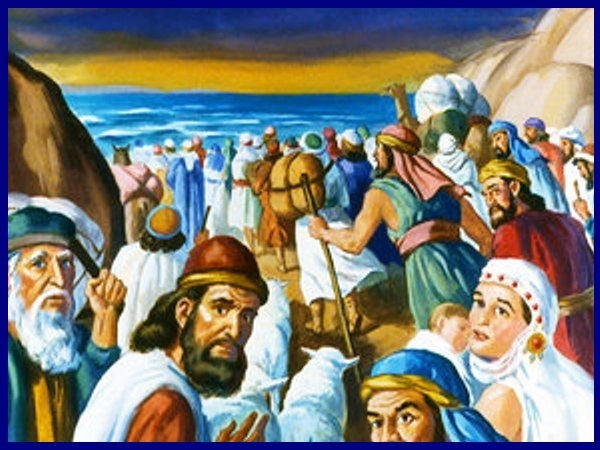 So they went after the Israelites and they caught up with them while they were camped by the Red Sea. This was near to Pi Hahiroth and Baal Zephon. Those locations sure had strange names didn’t they? 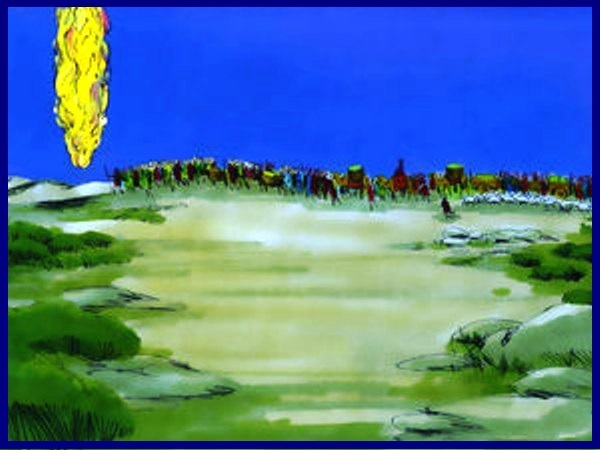 Then, when the Israelites looked where they had come from, they saw Pharaoh’s army coming after them. 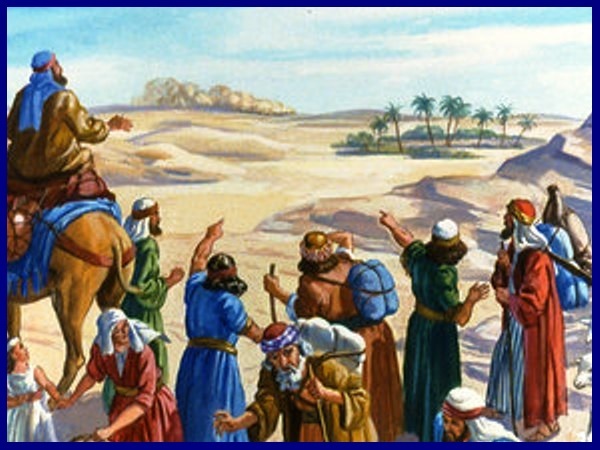 There were so many horses and chariots that they could see the dust being kicked up in the desert and they were very frightened and cried to the Lord for help. Then the Lord said to Moses, “Why are you crying out to me? 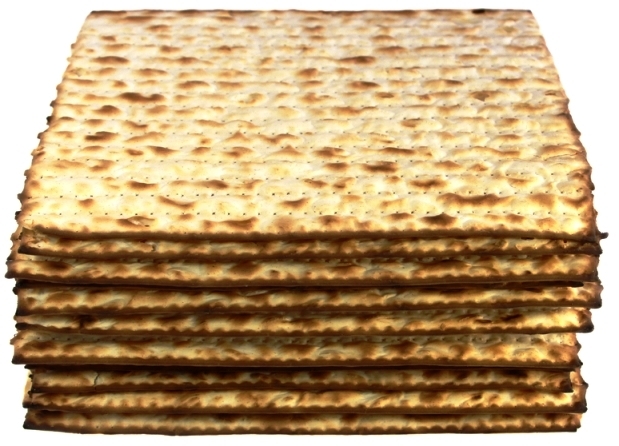 Command the people of Israel to start moving. 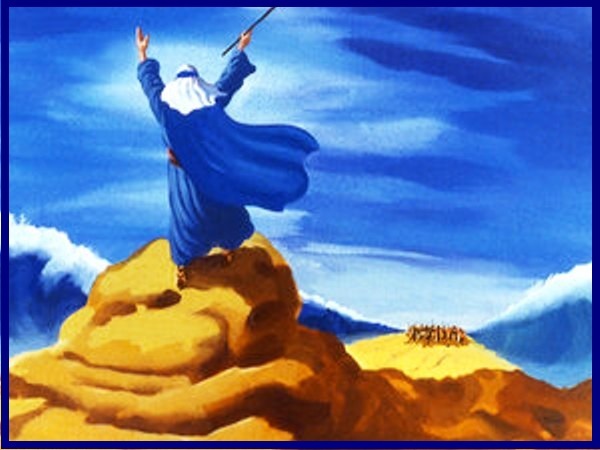 Then the angel of God who usually traveled in front of Israel’s people moved behind them. Also, the pillar of cloud moved from in front of the people and stood behind them. So the cloud came between the Egyptians and the people of Israel. The cloud made it dark for the Egyptians. But it gave light to the Israelites; so the cloud kept the two apart all night. 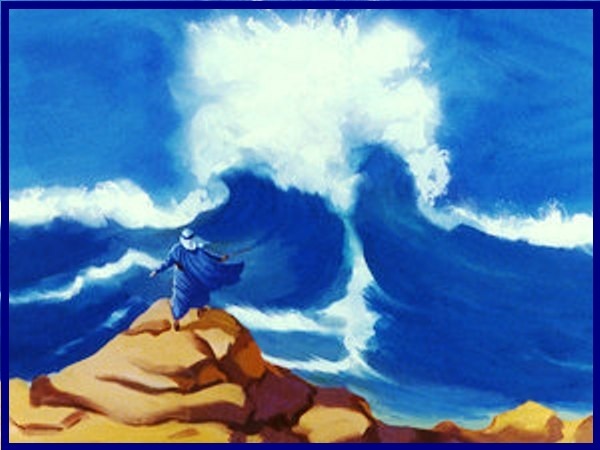 Moses held his hand over the sea like God had instructed him to do and the waters separated. All that night the Lord drove back the sea with a strong east wind, and made the sea become dry ground. 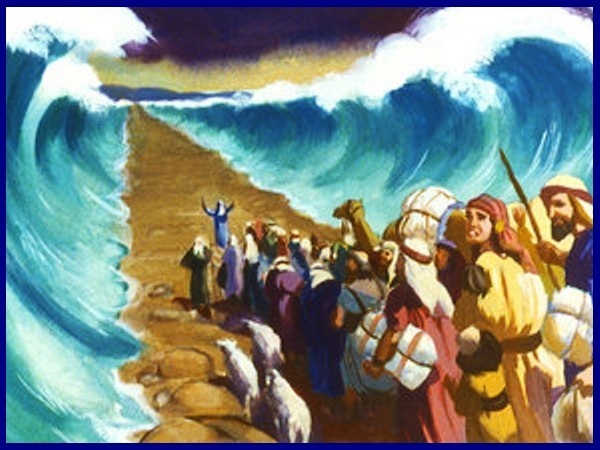 And the Israelites went through the sea on dry land. A wall of water was on both sides as they walked through. 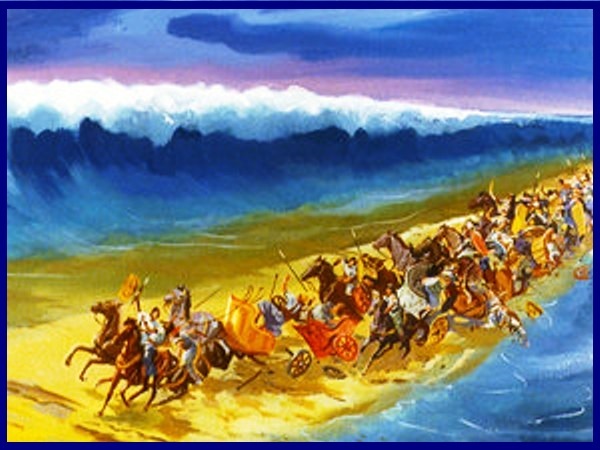 Then all Pharaoh’s horses, chariots and chariot drivers followed them into the sea. Between two and six o’clock in the morning, the Lord looked down from the pillar of cloud and fire at the Egyptian army. 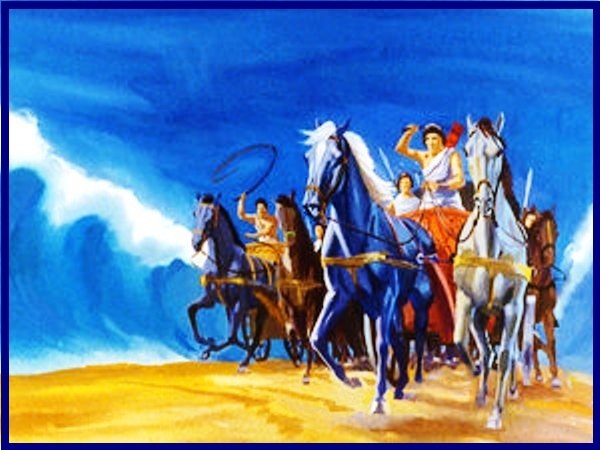 He made them panic and He kept the wheels of the chariots from turning. 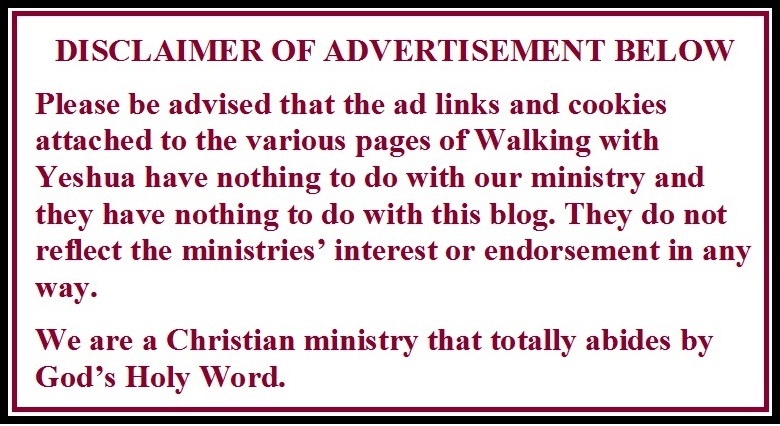 This made it hard to drive the chariots to catch up with the Israelites. 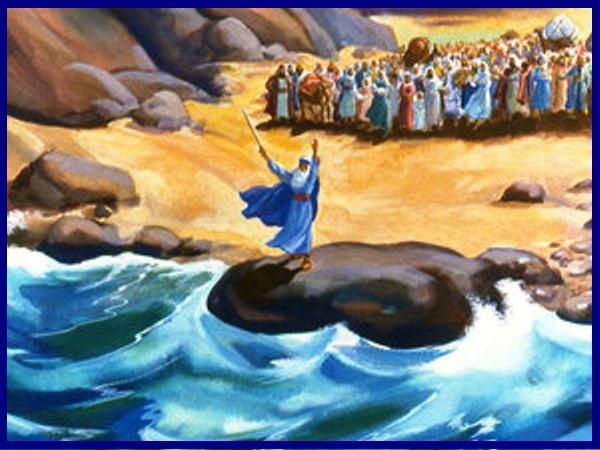 Then as they were getting close to where Moses was standing on a rock the Lord told Moses, “Hold your hand over the sea. 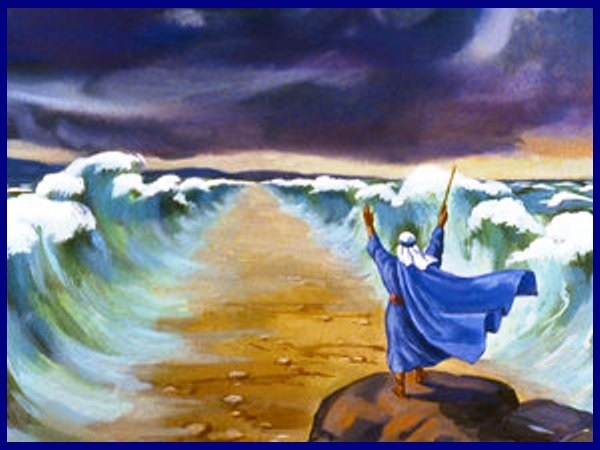 Then the water will come back over the Egyptians, their chariots and chariot drivers.” So Moses raised his hand over the sea. And at dawn the water went back to how it had been and became deep again. 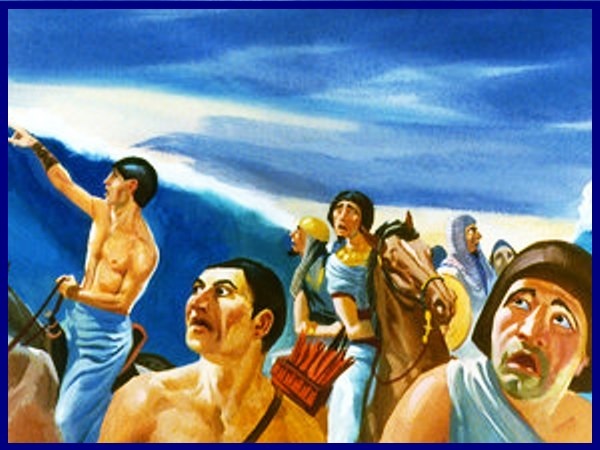 The Egyptians tried to run from it, but the Lord drowned them in the sea and covered all the chariots and their drivers. 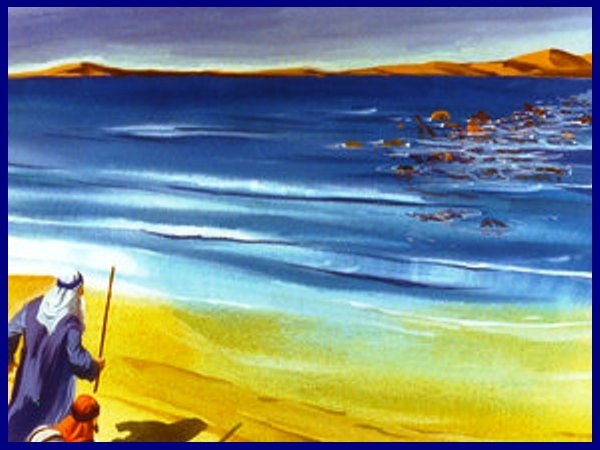 So all Pharaoh’s army that had followed the Israelites into the sea did not have a chance. Not one of them survived. 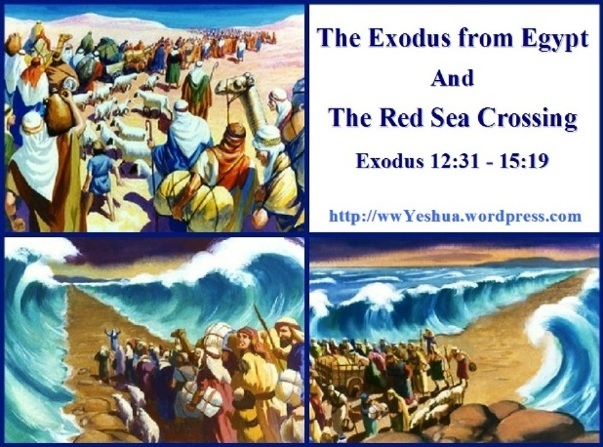 But all the people of Israel crossed the sea on dry land and were safe. 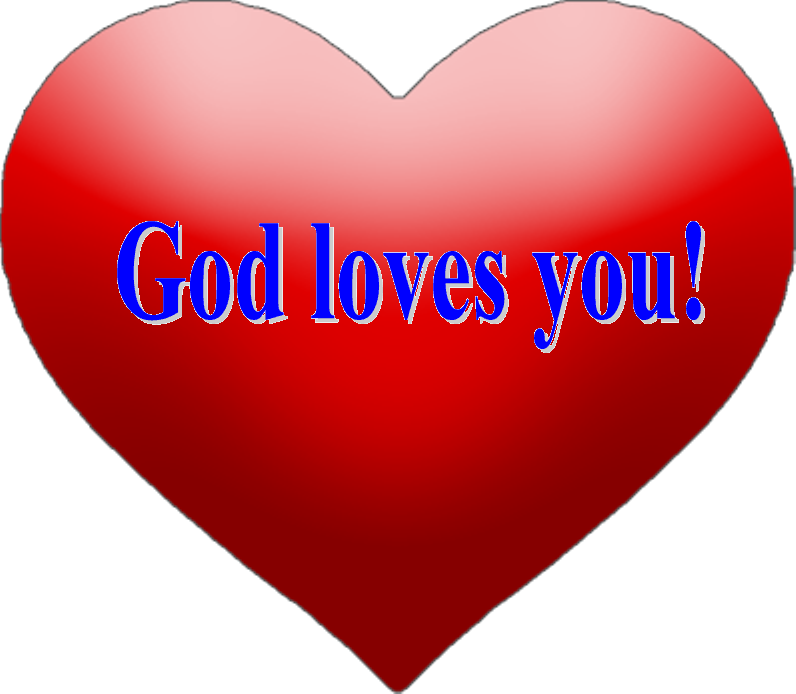 So that day the Lord saved the Israelites from the Egyptians. 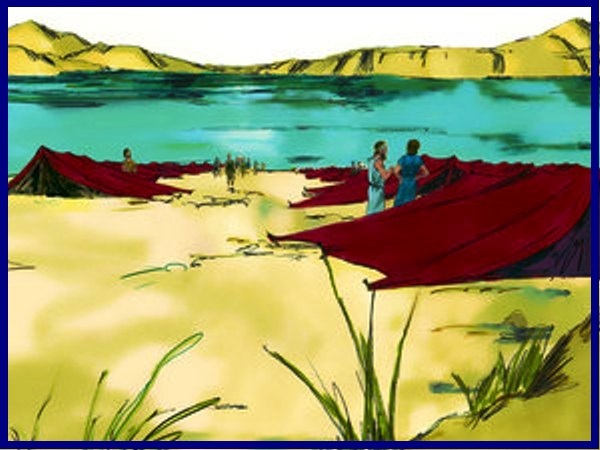 And after all that had happened the Israelites saw the Egyptians lying dead on the seashore. 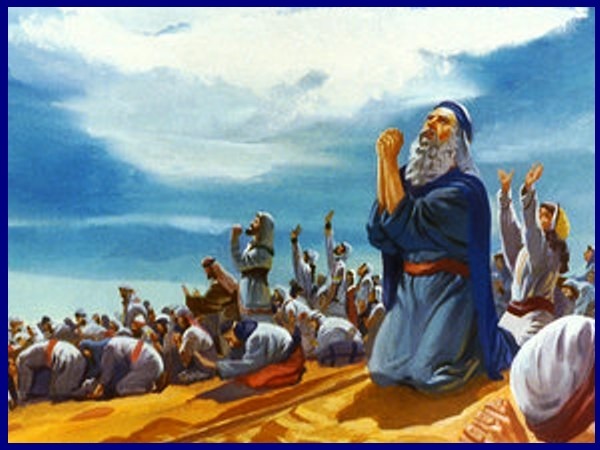 When the people of Israel saw the great power that the Lord had used against the Egyptians, they feared the Lord. 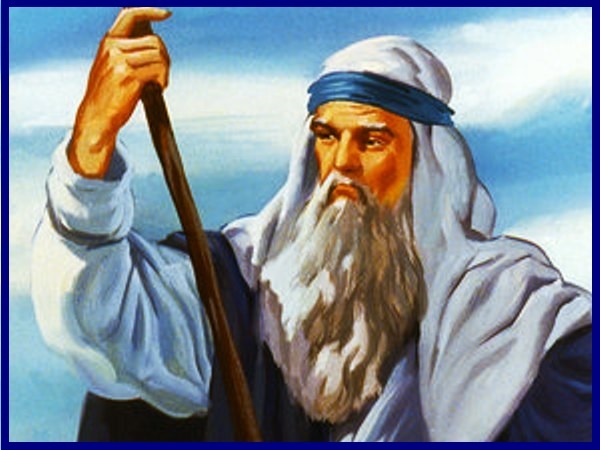 And they trusted the Lord and his servant Moses. 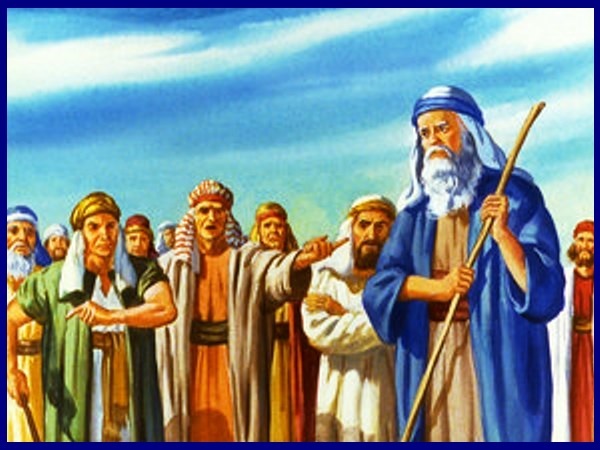 Then they sang a song in honor to the Lord that is called the Song of Moses. 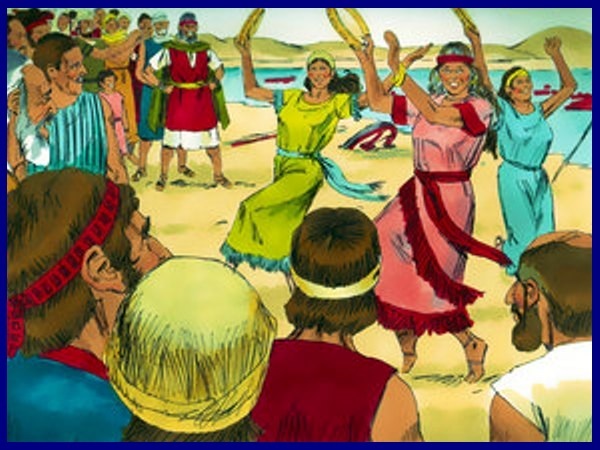 And after that Miriam who was Moses and Aaron’s sister took a tambourine in her hand and all the women followed her, playing tambourines and dancing. And they all thanked God for the amazing miracle He had performed. Good bye, until next time when we will learn what happened next. Until then, remember to say your prayers obey your mom and dad and do not forget to go to church and Sunday school next week. You are most welcome Mylene. Blessings.